There's recently been a flurry of scrappage schemes announced by manufacturers, encouraging car owners to trade-in their old car and replace it with something new. How does the scrappage scheme work? Although there are various terms and conditions with each individual scrappage scheme, the premise is simple. You trade in your old car, get a discount on a new one and your old car is taken off the road. Which manufacturer is offering the most in a scrappage scheme? At the moment, Audi is offering the most in a scrappage scheme. You can get a scrappage discount of £8000, but the downside is that you'll need to shell out more than £65,000 for the Q7 e-tron. Is this scrappage scheme different to the last one? This time round the incentives come from the manufacturers only, the Government is not offering a contribution of its own this time. What are the scrappage scheme terms and conditions? So far this year, several manufacturers have launched scrappage schemes and are offering various discounts on new cars, with differing terms and conditions. We've listed them all here so you can see what money saving discounts are available on what models. 1Which manufacturers offer a scrappage scheme? Everything you need to know to make a decision if you're considering a manufacturer's scrappage scheme. Audi's scrappage scheme offers a maximum of £8000 off a Q7 e-tron plus considerable savings such as a £6000 discount on an A4 or A4 Avant. The offers are available to owners of pre-Euro 5 diesel cars produced before 2010. Trade in vehicles need to have been registered in the owner’s name for at least six months to qualify - and the trade-in vehicle will be scrapped. Owners of older diesel BMWs will be offered £2000 off a new BMW or MINI. The manufacturer offer applies to diesel BMW or MINI models that meet Euro 4 standards or less, almost all pre-2005 vehicles. The replacement must be a BMW i3, a plug-in hybrid or a Euro 6 vehicle with CO2 emissions of up to 130g/km. The scheme will initially run until 31 December 2017. The Citroen scheme offers some big discounts - especially on the soon to be replaced C3 Picasso while there's £4700 off a Grand C4 Picasso, one of our favourite MPVs. Customers must have owned the car they are trading in for more than 90 days - and it must have been originally registered before 31 December 2010. The scheme will run until 31 December 2017. A scrappage allowance of £1000 is available on the Duster and £500 on the Sandero. Drivers taking advantage of the scrappage scheme must trade in a car that is Euro 4 standard or older, registered by 31 December 2009. The scheme excludes the lowest spec, Access. However, with the scrappage offer, the Sandero in Ambiance trim can be purchased from as little as £6895. Vehicles must be owned in the customer’s name for more than 90 days to be eligible for these discounts. DS may not have the newest model range around right now - there are lots of new cars coming soon though - so you can get a decent discount with £4500 off a DS 3 Cabrio. Customers must have owned a car of any make and model for more than 90 days. All new vehicles must be ordered and registered by 31 December 2017. Fiat Chrysler Automobiles UK has launched its scrappage scheme for Fiat, Alfa Romeo, Abarth and Jeep models. It's much shorter than other schemes, only running until 30 September. It applies to all Euro 1 to 4 petrol and diesel cars and vans registered before 31 December 2009, regardless of make or model. Ford's scrappage scheme offers UK car buyers at least £2000 off a new car when they trade-in their old pre-Euro 6 petrol or diesel car. The scrappage scheme is open to owners of all non-Ford vehicles registered up to and including 31 December 2009. The scheme will run until the end of the year and can be used in conjunction with any existing deals. The scheme allows Euro 1-4 emissions standard vehicles (cars that were registered before 31 December 2009), of any make or model, to be scrapped or traded in for a brand-new Hyundai. Customer can save £3500 on the Ioniq Plug-in Hybrid, using the £2000 Hyundai scrappage offer combined with the government-funded £1500 Plug-In Car Grant. The new Kona – Hyundai’s latest SUV offering – has also been introduced to the scheme, with a £1750 incentive available on all variants. Santa Fe and Tucson remain on the scheme, with savings of £3500 and £4000. The most polluting vehicles, those with Euro 1-3 emissions standard, will be scrapped. Owners of a Euro 4 model can trade-in their vehicle for any model across the Hyundai range. However, the car must be owned by the customer for at least 90 days to be eligible for the discount. Kia is launching a scrappage scheme worth £2000 to drivers who want a new Picanto or Rio. Cars over seven years old are eligible, with the scheme running from 1 September 2017 to 31 December 2017. The scheme applies to all versions of the Picanto and Rio, as long as the buyer of the new car is also the owner of the car being scrapped. Lexus is offering discounts of up to £4000 on their range of hybrid vehicles. The offer is open to any petrol or diesel car (or light van) registered before 31 December 2009 and registered to the current owner for at least six months. Tha Mazda scrappage scheme is available on any new Mazda model that emits less than 130g/km - although that does exclude the MX-5 and petrol versions of the CX-3. The new CX-5 is not included either. To add a slightly more complicated layer, there's a different scrappage discount depending on whether you choose a diesel or petrol Mazda 3 or 6. The car you're scrapping must have been registered before December 31 2009 and the offer runs until the end of 2017. Diesel vehicles must be Euro 1 - 4 to be eligible for trade-in and customers must have owned the vehicle for at least six months. The scheme cannot be used alongside any existing finance offers. If your diesel car was built before 2010, it's likely eligible for the trade-in bonus. The scheme ends on 31 December 2017. The MG scheme guarantees a £1500 minimum part-exchange offer for the MG3. Customers can trade-in any petrol or diesel vehicle. The scrappage offer can also be used alongside MG's 0% finance deals. The MG3 3Time - the base model - is currently available for £145 per month, on 0% finance over four years. While the MG3 Style+, MG's top-spec model, is available for £195, on 0% finance over four years. You can trade in any car of any age accepted and valued by the dealer. Mitsubishi's scrappage scheme, offers £4000 off the Outlander PHEV and a £3000 discount on the ASX. On top of the discount on the Outlander PHEV, buyers will of course also get the £2500 Government plug-in car grant, dropping the price further. The standard diesel Outlander is available with £3500 off while the Mirage has a £2000 scrappage discount. Trade-in cars must be Euro 4 standard or older, registered before January 2010 owned in the customer's name for six months. The scheme will run until 28 December 2017. Nissan's rather confusing scrappage scheme is offering customers an additional £2000 on top of the trade-in value of their pre-Euro 5, pre-2009 vehicle through September. The savings can be used in conjunction with other discounts, meaning Nissan buyers can save up to £5000 off a new car. Peugeot is offering buyers a discount ranging between £1750 and £6000 when they scrap their old car for a new model. All petrol and diesel-powered passenger cars registered before 31 December 2010 are eligible for the scrappage discount, which can be redeemed against any Peugeot. Renault's scrappage scheme offers between £3000 and £7000 thanks to what it calls a 'customer saving' alongside a £2000 scrappage allowance. It covers cars and vans. The scrappage part exchange must be a Euro 4 engine or older, have been registered by 31 December 2009 and owned by the customer for more than 90 days. Vehicles part exchanged under this scheme will be permanently destroyed. Buyers can pay in cash, buy on a PCP plus 0% APR hire purchase along with two years free servicing on cars or 0% APR hire purchase with four years free servicing on vans. SEAT's offers are available to owners of pre-Euro 5 diesel cars produced before 2010. Trade in vehicles need to have been registered in the owner’s name for at least six months to qualify - and the trade-in vehicle will be scrapped. Skoda's scrappage scheme is available to owners of pre-Euro 5 diesel cars produced before 2010 and with £4000 off a new Superb or Superb Estate, there are some good savings to be had. Trade in vehicles need to have been registered in the owner’s name for at least six months to qualify - and the trade-in vehicle will be scrapped. The Suzuki scrappage programme runs until 30 September 2017 and offers buyers up to £2000 off selected Suzuki models. Cars traded-in must be registered before the end of 2009. Any make of petrol, diesel or hybrid car can be traded in - although they must be pre-Euro 5 emissions standard. The scrappage savings cannot be combined with the latest Suzuki new car offers and vehicles traded-in need to have been owned in the buyers own name for at least 90 days. Toyota is offering savings of up to £4000 on their range of petrol and petrol-hybrid vehicles. The scrappage scheme runs from 1 September 2017 to 31 December 2017 and is open to any vehicle more than seven years old. The vehicle must be registered to the current owner for at least six months to be eligible. >> Want to test drive a Toyota? Click here. Vauxhall's Scrappage Allowance Scheme is offering buyers up to £2000 off the price of a brand new car when they trade-in their old one. It runs until the 30 September 2017 and can be combined with existing finance offers, including PCP plans and deposit contributions. 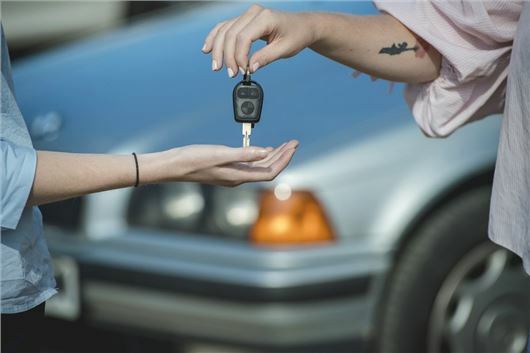 The offer is dependent on the traded-in car being registered in the owner's name. The owner must also prove they've owner the car for at least 90 days. The biggest saving is on the Sharan people carrier with £6000 off, while there is a £4000 discount on Golf variants. Combined with OLEV grant, customers could get £8500 off the price of a new e-Golf. The offers are available to owners of pre-Euro 5 diesel cars produced before 2010. Buyers must have the trade-in vehicle registered in their name for at least six months to be eligible. It applies to all orders until 2 April 2018. Which scrappage scheme should I buy a new car through? I would like a new car. It needs to be cheap, small, reliable and economical as I drive less than 4000 miles a year. Which cars would fit my requirements? Should I scrap my 2005 diesel Volkswagen Passat for a deal on a new car? Ford has just announced a scrappage deal and other manufacturers offer them too. I'm thinking of scrapping my 2005 Volkswagen Passat diesel. What are the best deals currently available and do any include hybrid vehicles? Manufacturer 'scrappage deals' are actually nothing more than standard discounts and you can probably get a better discount anyway by buying via a good broker such as http://www.drivethedeal.com/ The only way a scrappage deal offers a genuine benefit over and above a discount is if it is supported with funding from the government. In other words, if the governemt gives you some of your taxes back if you scrap your old car and buy a new one. Why are older cars being forced into obsolescence? Having spent much of my life immersed in most matters car related including working on the body shop floor and restoring classics, I have an axe to grind with those who consider bringing back the scrappage scheme to be a good idea. My colleagues in the business also express their disapproval. Whilst it might suit large main dealerships, to sell more new cars, it does not always work in the best interests of the public, or smaller independent garages that rely on servicing and selling good quality, cheaper, older vehicles to people who would rather buy for a few hundred pounds than fork out on mandatory warranty servicing and finance payments, not to mention the depreciation that goes with the purchase of a new vehicle. During the last scrappage scheme many people were persuaded to dispose of cars with even the slightest fault. Many inheritors of deceased estates were also encouraged to trade in their family’s beloved classic for a “new car“ this way; to the dismay of car enthusiasts. Whilst there will always be the car that is never worth repairing, there will be countless others that could quite easily be repaired and sold to people for a few hundred pounds to help them afford to stay on the road. I cannot help thinking that this is a very clever scam by the car manufacturers and government to rid the country of all non computerised vehicles in order to extort as much money as possible out of the general public whilst at the same time putting the smaller garages out of business as they will not have the technology to repair the newer vehicles. May I suggest that if this regrettable scheme is brought back that anyone thinking of participating in it should seek the advice of an independent garage or knowledgeable person in order to find out exactly how much the repair will cost, and, whether they could extract a few more years out of the car before disposing of it? New cars are fine if you can afford them, but if you are like me you can still pick up a decent old car from as little as £500 with 12 months' MoT. Sadly, if this scheme is brought back you may have no choice than to buy a laptop on wheels. The world is leaving a lot of us behind. Even Apple Mac operating systems from as little as four years ago are now out of date and require replacement of the Mac to work properly. That's the way the world has gone. Everything is short life and disposable. And it's the way the car world has gone. Very few new cars on the market today will economically survive much more than seven years. I hate this. In front of me right now is the solar-powered calculator I bought when I first incorporated my limited company in 1983. It still works perfectly. Come on Honda, time for you to announce your scrappage scheme. Realistically, if you're currently running around in a 10 year old diesel anything how likely are you to be looking to buy a brand new car? I'll be interested to know what the take up is on any of these schemes after a few months have gone by. It all sounds like marketing hype to me! Funnily enough, as the owner of a 10-year old BMW 525d touring, I'm looking very seriously at some of these numbers! I have had my Mondeo since 2005 and it is starting to show its age. Shame but a Tiguan is beckoning. Another government scam........Come all you lovely people follow like sheep straight into the next scam !..... (at least all those world wide floods and global warming will end eh. When the U.K. stops producing diesel cars eh ?) NOT ! They will have to offer me a lot more than this to make me part with my 1995 peugeot 106 that does 70 mpg has no electronics to go wrong, only cost me £500.00 and wont depreciate like a stone over the next five years like a new car !! Do you park it outside of your cave? Nice one. Bangernomics. Seriously thought about these myself. Mother had one years ago with no problems (cheap to run and little to go wrong with them). For £500 you can pick one up with 50k miles and years of life left in it. My 5 bed detached cave still has a nice mortgage on it. When did anyone ever pay MRRP?!!! Will someone please explain to the general public that these 'scrappages' are not on top of any discounts that are easily negotiated in my experience. If they were they would be worth looking at. More marketing hype to sell as many cars as possible before brexit?? - postpone the depreciation and financing costs associated with a new car. Exactly. It's really a no brainer to keep your current car. If this deal was on fords current promotional price i would do it but since its against the full rrp then dealers can beat that price . Given the majority of people "buy" these cars using some kind of credit, and that the media frequently report how many people are living beyond their means in order to do so i'm not sure how encouraging more and more people to essentially follow the same path, and take on more debt in order to own a car for a few years that they normally wouldn't be able to afford outright, can be a good thing. I wonder how many of those with leases, contract hires, PCP's or loans, have a financial reserve or some kind of protection in order to comfortable maintain those monthly payments for 12 - 36 months along with the mortgage / rent etc, if the worst should happen and they lost their job or became unable to work?. If you can't answer "yes" to that, then dress it up how you like, hand wring or make excuses to save pride and cover your lack of forward planning here, but the fact remains that you are one of those media statistics, and balancing on a tightrope. Besides, many manufacturers have been offering "contributions" towards a PCP etc, for several months, sometimes on the same scale as the scrappage scheme, will those same manufacturers be offering those contributions alongside the scrappage scheme - effectively giving a double discount, or will they just be replacing one incentive with another of a similar value and naming it differently?. Depends which manufacturer you wanted to go with. some don't have maximum ages of vehicle, some do. As has been said it's simply dealer discount renamed as scrappage discount. Or put another way, a scam to get us through the door. I will stick to my 3 cars that continue to give outstanding service. 52 plate bought 4 years ago for £500, 04 plate which was swapped for a trailer full of spares and a 54 plate again costing just £500 and returns 55mpg. They cost me £100 per year each to service and £35 each to MOT. What they really have over a new car is that they have style and that retro feel of older cars as opposed to the bland clinical feel of a new car. Miles bigger too than i10 or KA so they are far more practical. I would have to pay 20 to 30k to get a new large practical car. New just does not make sense. Exactly, it's a marketing ploy, nothing more. Competely transparent. Lol, after reading this I'll stick with my 2.0L Turbo diesel. It works great, costs very little to run and is a great drive. Plus it's all paid for, so I don't need to slide down the slippery slope that is new car ownership. What kind of idiots bought diesels in the first place? All of them, and will again. Great marketing.